This reinforced vinyl strap offers a reliable and long-lasting card-carrying solution. To use, simply slide your slotted credential onto the strap, snap the closure shut and clip it to your clothing. Strap material: reinforced vinyl (strengthens the vinyl on the clip that attaches to your badge holder or ID badge). Hold your ID badge in a simple a secure way! 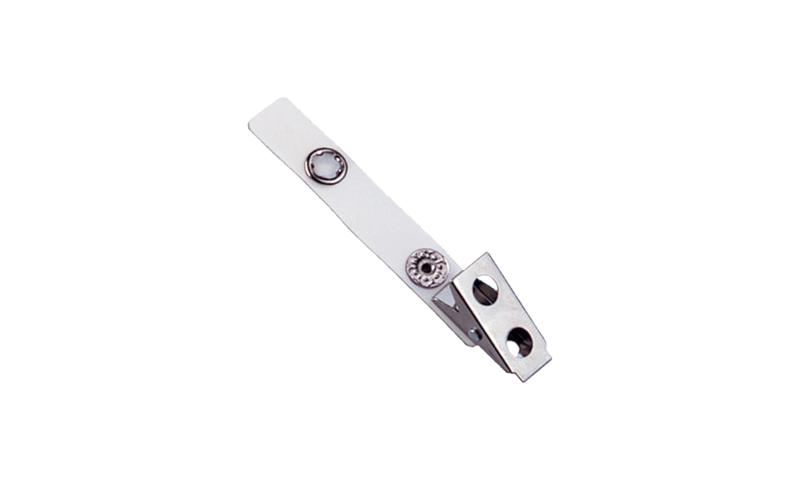 Strap clips are used for slot punched PVC cards or badge holders. Steel snap closure securely attach to your clothing and reinforced vinyl increases its lifetime.